Food, to me, is one of the great pleasures in life. When I really like a food, MAN ON MAN, I like it. I savor, I swoon, I make every last morsel last the longest I can, which invariably leaves me the last at the table, flirting with a creamy Brie or juicy mango slice. 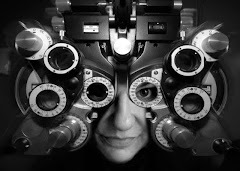 So, since I'm a big fan of food, I do remember a lot about the things I liked especially when I was little and growing up in Wisconsin, and I thought I'd share (or confess) some of the weirder things I used to consume, with recipes if you'd like to indulge. Please to enjoy! This was my favorite treat for years and years, and my dad's favorite. 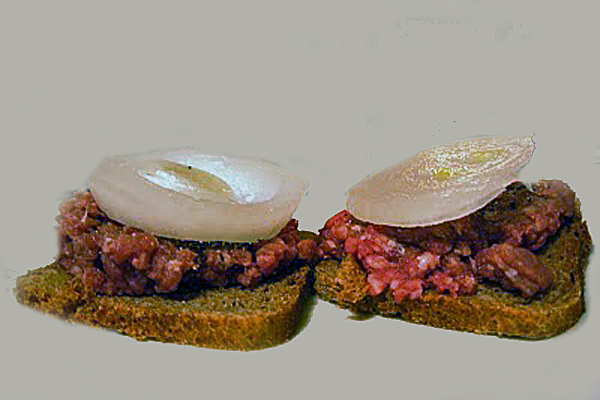 It is also fairly insane, as eating raw beef is a bad idea. Oh, but it was SO GOOD! 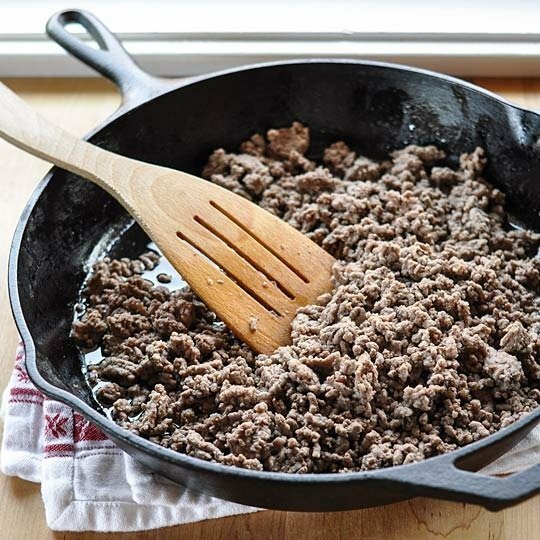 The key, my mom said, was buying the best fresh custom-ground sirloin and consuming it immediately, and pouring on so much salt and pepper that your blood pressure would explode your vessels. Do I still eat this? : No. I am not insane. But I sure do miss them. Slather on the Miracle Whip onto the squooshiest white bread you can find; consume. I liked these because they were fast. Do I still eat this? : No. 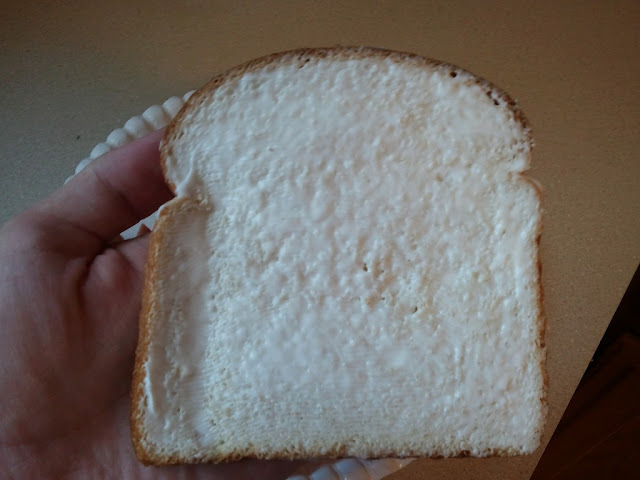 I now like fiber and flavor in my bread, and buy actual mayo. 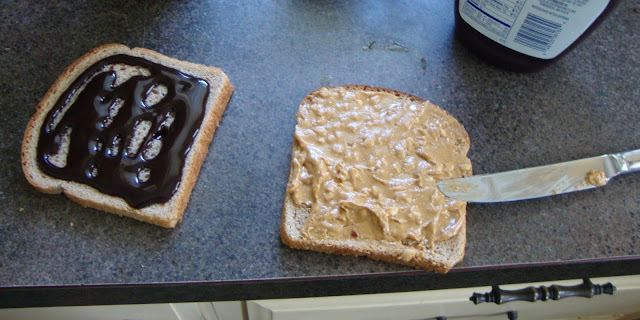 We never had candy around the house, so the day I improvised this calorie-fest to approximate a Reese's Peanut Butter Cup I figured I was a straight-up genius. The Hershey's gave it kind of a bitter, processed flavor, but WHO CARES? CANDY SANDWICH! Do I still eat this? : No. I'd weigh 5000 pounds by now and would be forced to have a reality show. You're lucky I couldn't find a photo of this mixture, because it looks like puke. 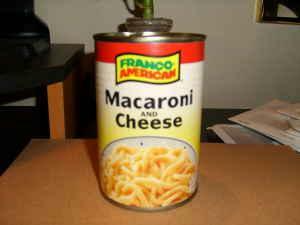 The choice of this particular canned mac n' cheese was crucial, with its pale yellow fat long noodles, which were unnaturally slippery, in a salty, weird cheesy sauce. The addition of the cottage cheese boosted the salty cheesiness to another level. This was comfort food for me, but it grosses absolutely everyone else out. Do I still eat this? : About once a year. JUDGE ME, I DON'T CARE! If my mom had cooked pork roast or chops during the week, you can be sure she served sauerkraut with it, and if there were leftovers, they were MINE. This was one of my favorite Saturday day morning cartoon-watching snacks, complete with sauerkraut juice that I'd lap up from the bottom of the bowl. This also grossed out everyone, especially my friends who might be sleeping over. I did not care. Do I still eat this? 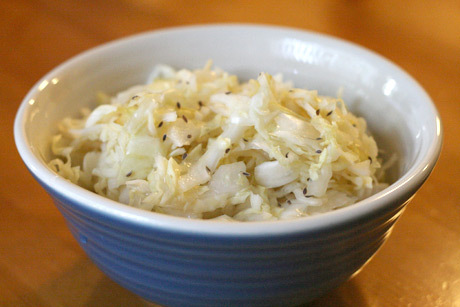 : I still love sauerkraut (and caraway seeds are VITAL), but the big cold bowl of it is beyond what I can process in my dotage. This was my mom's recipe, and one of my dad's favorite lunches. You'd cook the hamburger down into well-done crumbles that resembled tiny carbon rocks, with translucent, extremely-caramelized onions, dashes of Lee & Perrins, and plenty of salt and pepper. Served loose on a bun or rye, it was tasty as heck, ya. Do I still eat this? : Yes! And the kids love it, too. Do I still eat this? : No, it seems indulgent. But I remember it with taste fondness. 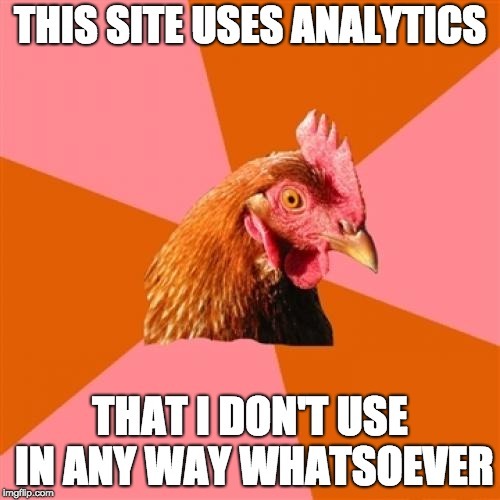 This got me in trouble a lot. 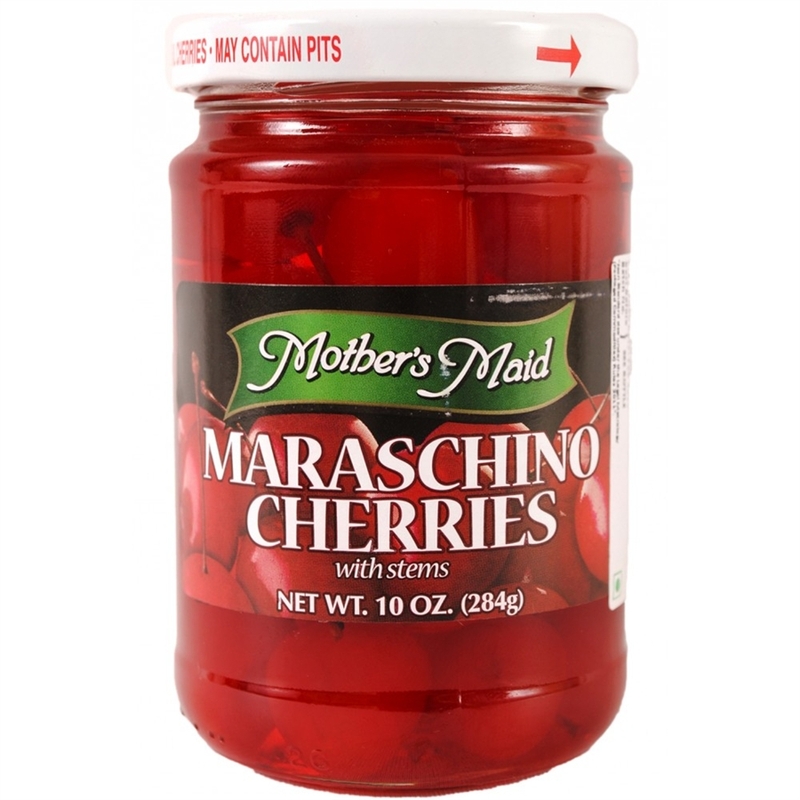 We always had a jar of maraschino cherries in the fridge for my dad's cocktails, and we were verboten to eat them, which was awful because they were DELICIOUS. It was all I knew of cherries until I got to be around 10 and had a real cherry, which of course I thought was sour and hideous in comparison to this over-sweetened probably-toxic fruit thing. Anyway, I rationalized that, OK, if I couldn't eat the cherries, I could drink the juice from the jar, right? Do I still eat this? : That would be really bizarre. No. 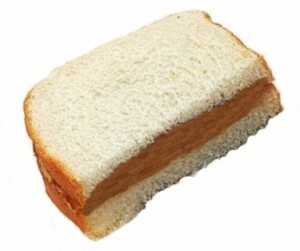 This sandwich was like a more-satisfying version of the classic baloney-on-white sandwich. 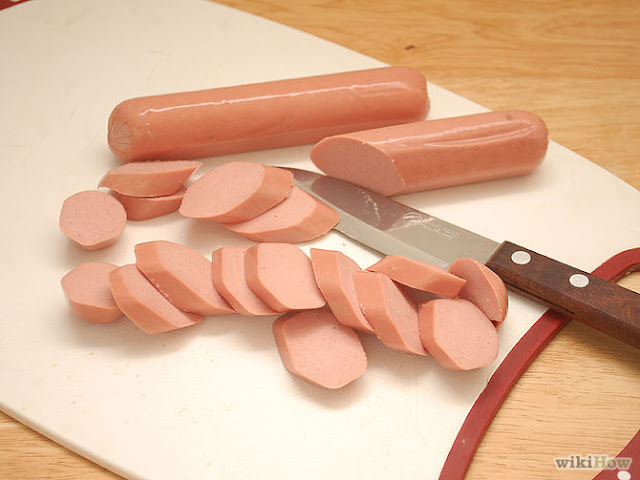 Yes, the hot dog circles would sometimes fall out of the sandwich as you tried to eat it, but it was a challenge I was up to. Do I still eat this? : I haven't had one in decades, but would like to revisit it once. Zotz! 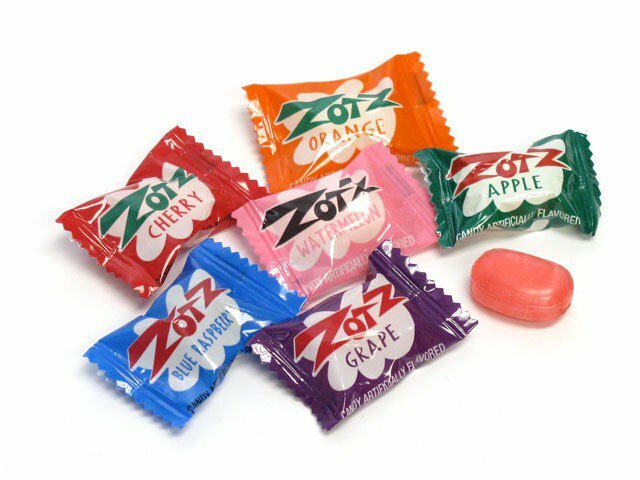 I hope you have experienced Zotz in your lifetime, people. It was created in Italy in the late '60s, and remains my favorite candy because IT IS FUNNY. Food + humor = YES. You start out sucking on the fruity hard candy shell, right? Then you get bored and bite into it. THEN A GIANT SOUR FOAM IS RELEASED AND SLAMS YOUR MOUTH! HA HA! Oh, I love it so. I used to trade hoarded Halloween chocolate for these if my friends had some. Do I still eat this? : In my 40s, I took the Zotz Challenge on a dare, and stuffed as many Zotz into my mouth as I could and then chewed. The resultant explosion blew out of my mouth while I laughed myself into tears. So, there's your answer. This lady is trying just one Zot for the first time. HA HA! Strange for some people, is just strange.